While others probed the emerald waters in search of chrome, I ventured east this weekend to find that clarity and peace I was seeking. 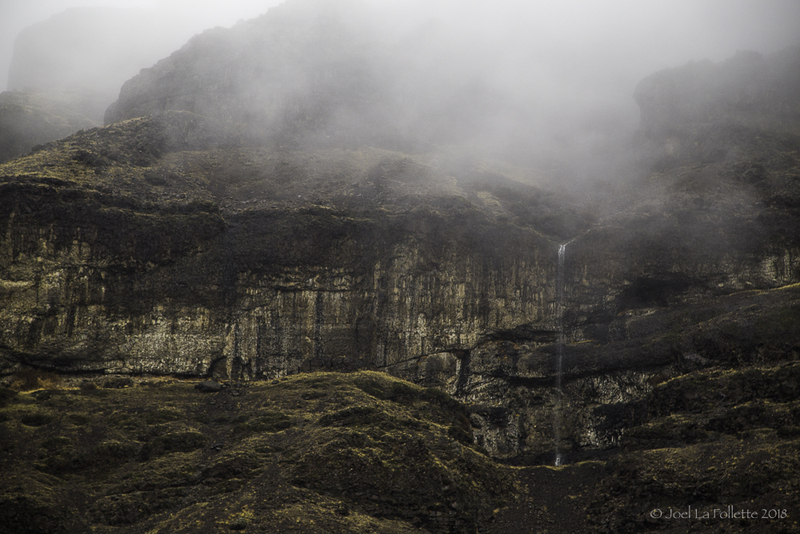 The clouds had descended to shroud the canyon walls, hiding familiar features, but drawing attention to some unseen in the past. A basalt needle revealed by a background of fog had gone unnoticed for close to thirty years. Now it framed one of the residents prancing on the ridge line against the liquid sky. Colors and details muted by the weather still reveal the brush strokes of the master artist. This gallery there for all to see, if they so choose. Focus is often on the river and the residents hidden beneath the shimmering surface, yet it is hard not to explore the ever-changing vista as you cast and wade. The mist sets the stage and mood for this show, tauntingly unveiling work several million years in the making. The light too changes to bring out details unseen before in the hundreds of visits to this very same place. A place familiar, yet new. Even in the fog, a place of peace and clarity.